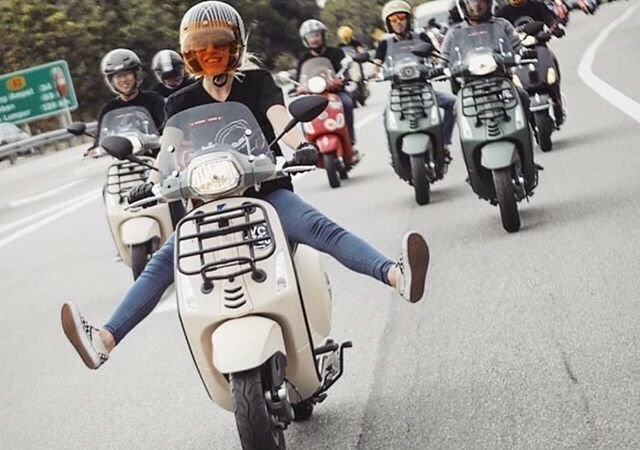 Limited Time Only - Vespa Sale - Scooter Central | Your One-Stop Scooter Shop! The Sale on the sporty Vespa Sprint 150 has been extended until the 31st of August. Save $400 and get a free chrome rear rack valued at $200. We will give you the best price in Sydney for the Vespa & Piaggio scooters. Plus, we have the biggest range of scooter accessories and rider apparel, such as helmets, jackets, gloves, scooter covers, top boxes, wind screens and more. We can bundle up the ultimate scooter package for you.